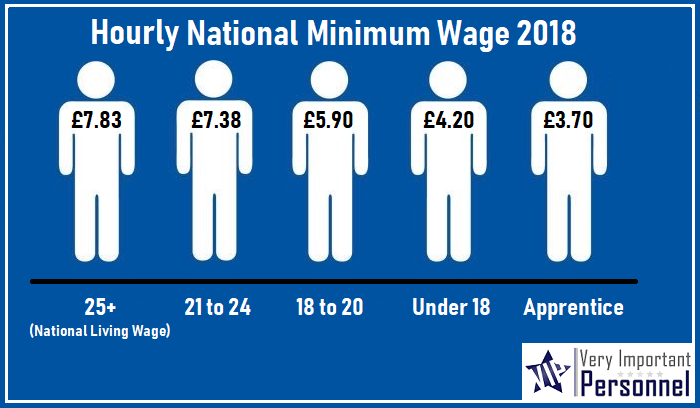 Almost all workers in the UK are entitled to be paid at least the National Minimum Wage – or the National Living Wage if you’re 25 or over. HMRC identified a record £15.6m of underpayments for workers on the minimum wage this year, which saw some 600 employers fined £14m for not meeting legal obligations. This was double the previous year’s figure and the highest number since the National Minimum Wage came into force. All the rates of the National Minimum Wage (NMW) increased on 1st April 2018 to the above rates, including the National Living Wage (NLW). The National Minimum Wage is worked out as an hourly rate, but it applies even if you are not paid by the hour. So are you entitled to the National Minimum Wage? What doesn’t count towards the National Minimum Wage? For further advice on the National Minimum Wage, National Living Wage, or any other rates, call our trusted business associates, Honest Employment Law Practice (H.E.L.P) on 01543 431 050. Honest Employment Law Practice Ltd offer a pay-as-you-go monthly retainer service across the UK. Employment Law advice, HR advice and Health & Safety consultants with no long term contracts for clients both in the Public and Private sector – just Help on your terms! From full support for the smaller business, to assistance for the existing staff of larger companies, they can tailor a service specifically for your needs. The good news is, that all of our current vacancies are well above the National Minimum Wage, Take a look.